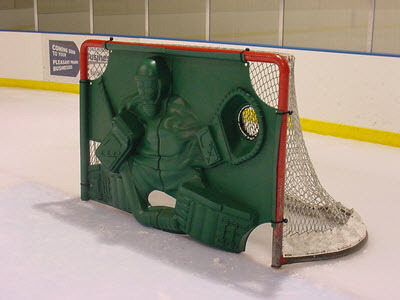 Check out Hockey’s Most Realistic Goal Blocker! You want a goalie anytime, anywhere, order now! From coaches to players, parent to kids… Everyone loves Rick-O-Shay! 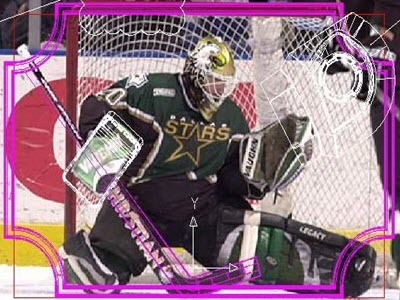 Hockey’s Most Realistic Goal Blocker! Rick-O-Shay is constructed of a High Molecular Weight Plastic. In hockey talk that just means that this is a tough, resilient material. Whatever blistering slapper you think you got, Rick-O-Shay will turn it aside like it was shot from your grandma. Basically, we did not design something that wasn’t going to hold up to the wear and tear of everyday use. 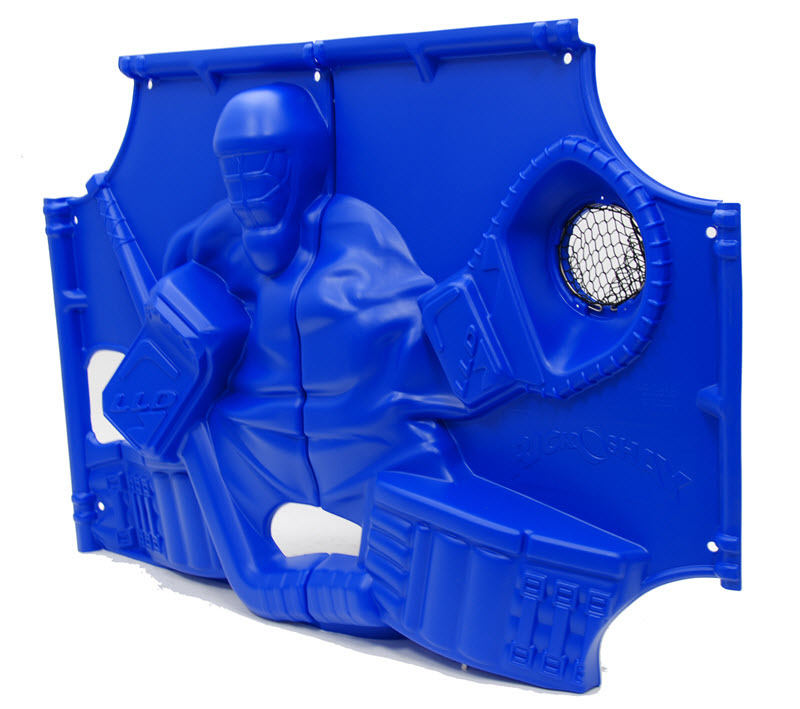 Indoors, outdoors, on the ice or on the pavement, no special balls or pucks are needed to use this goal blocker. Not only does Rick-O-Shay look like a real goalie, it acts like a real goalie too. Objects shot at Rick-O-Shay deflect away in an infinite number of directions and speeds. The unpredictability makes for exciting action during game play and practice. With Rick-O-Shay, you never have to worry about the goalies showing up again. First, the the goal tending style had to be selected. Butterfly being most common made sense, so Eddie “The Eagle” was used as a stand in. We selected a picture of the position we wanted for Rick, and then traced the main features. The traced geometry from the Belfour picture was then imported into a 3D CAD system to further model and develop. Besides, we had fun modeling the geometry and it allowed us to design it just the way we wanted. 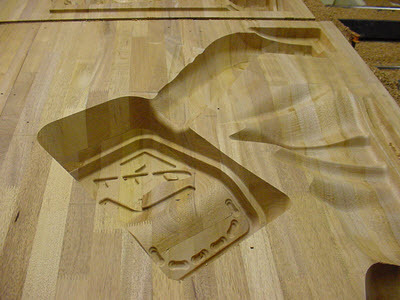 Once the 3D model was finalized, a wood pattern was cut from the data. We then vacuum formed plastic over the wood pattern. And finally the best part…testing. We brought our first prototype Rick-O-Shay out to the rink and fired away. Right away, we were thrilled with the puck action and scoring locations that were created. Rick is fun to shoot at! !